Robo calls from the self-proclaimed prophet, many of them posted online, typically promise a financial blessing. Larry Simpson says he never asked Yakim Manasseh Jordan for a blessing. 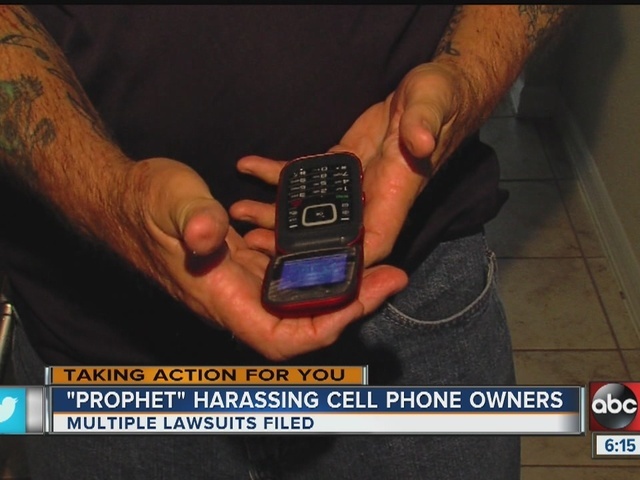 But Simpson asked that his cellphone number be taken off the prophet's list.The message was don't call me anymore and then Simpson claims the calls doubled and tripled. He estimates 300 calls to his cellphone within a year. We found 15 federal law suits filed against Jordan or Manasseh Jordan Ministries since 2013, a third of them right here in Florida. Morgan and Morgan attorney Tav Gomez recently filed suit against Jordan on behalf of Brian Bankosz. The Orlando man estimates the prophet rang his phone 300 times in a single year. Attempts to block the calls failed because the ministry dialed from dozens of numbers. In an online interview Jordan describes his work as a higher calling. Larry and Brian say the calls stopped but many of the 100 people who contacted Morgan and Morgan claim the ministry ignored their requests to be taken off the list and there was no opt out option. Robo calls to a cellphone are against federal law.